Play Nice in the Sandbox! 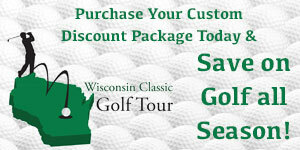 Among its full schedule of events this past summer, the Wisconsin State Golf Association (WSGA) added a new one. 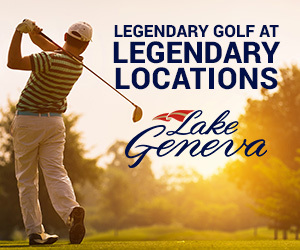 The Wisconsin State Par 3 Championship was created largely because it had a host – The Sandbox – worthy of such an event. 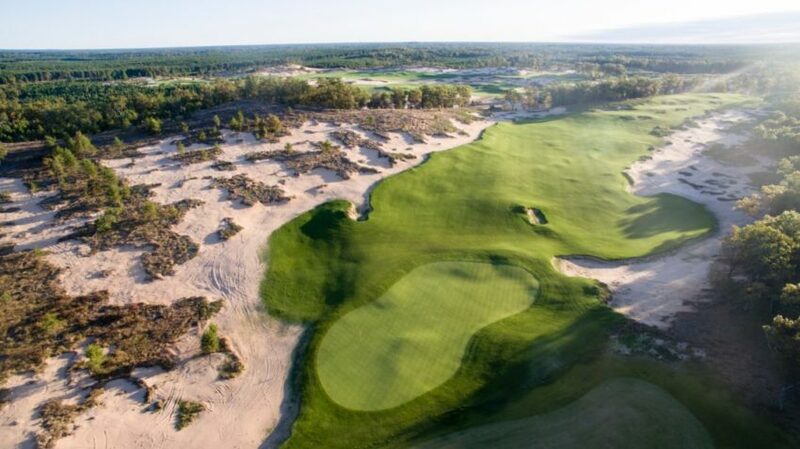 Of the current three courses at Sand Valley, the Sandbox might be the toughest in relation to par. It has no par-4s and no par-5s. The longest hole, No. 16, is just 149 yards from the “back” markers, which are simply garden trowels stuck into the ground. The trowels are marked with chalk to indicate the yardage to the hole that day. Whereas Bandon Dunes “short course,” the Preserve, is made up of 13 holes, the Sandbox (also a Coore and Crenshaw design) is 17. At the WSGA event, open to amateurs with a handicap index of 9.4 or lower, only two of 66 players broke par. So what makes the Sandbox so difficult to make pars and birdies? Especially when holes generally play from 40 to 120 yards? That wedge play, chipping and putting make up most of the strokes during a round is one explanation. The other is the precision required on several shots in which missing the number by five yards can mean the difference between a birdie and a bogey or sometimes worse. It is not uncommon to chip or putt off a green or into a bunker. The Sandbox is littered with engaging swales, slopes, humps and sharp run-offs that golfers might not see on a regulation course. The varied green designs accentuate these features. There is a double plateau, a Biarritz, a Redan and one with punchbowl effects. There is also a Road Hole-inspired bunker, a bunker the size of a kiddy pool and one which splits the front of a green into two sections. Exacting wedge play to the small greens at the Sandbox is a must but non-conventional opportunities present themselves just the same. On the scorecard there is a “tee box” simply called PUTTING. Yes, the Sandbox was designed to play many of the holes with a putter, sometimes even from 70 yards! The novel concept feels like putt-putt on acid at times for those willing to test their skill in a creative manner. Surprisingly, a putter is often times the best play. From the time it takes to play (two hours or less), to the carry bags Sand Valley supplies for just a few clubs, to the walk from the parking lot or the Dunes Lodge adjacent to the final green, everything is scaled down at the Sandbox. The nook that occupies the 17 holes is so cozy that conversations from the tee boxes can be heard from the green and vice-versa on a calm day. And the inevitable cheers or groans given the nature of the layout can be heard from just about any spot in the routing. How late is too late for another beer? Where Did All That Sand at Sand Valley Come From?